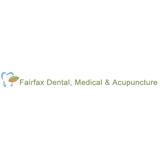 Tingting Zhu DMD (Fairfax) - Book Appointment Online! Smile! We have expertly trained professionals who are passionate about providing comprehensive oral health care to you and your family. We have state of the art technology, a cheery clinic environment, and shared vision for you to have a bright smile. We offer a variety of dental services to children, adults, and seniors. Dr. Zhu is currently welcoming new patients. She accepts most dental insurance plans and will see patients without insurance. Make an appointment today! I very much enjoyed my experience- I've been putting of dentist work for awhile now and she was very quick, efficient and direct and set up an action plan immediately. Her assistant was wonderful as well and they were very gentle during the deep cleaning. She answered all my questions and was very clear about what was going to be done and why. I highly recommend seeing her!